This shop has been compensated by Collective Bias, Inc. and its advertiser. All opinions are mine alone. The following content is intended for readers who are 21 or older. 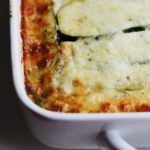 #ShareWineandBites #CollectiveBias This gluten-free Zucchini Lasagna is a delicious, fresh vegetarian dish perfect for an appetizer or a light meal. It’s layered with nutty homemade pesto, creamy goat cheese, earthy mushrooms, and kale. I love to entertain, and summer is one of my favorite seasons to do so. The fresh, seasonal produce. The al fresco dining. The sunsets and nighttime fire pits. As summer is coming to an end, I wanted to wrap it up with one last gathering, some good friends, laughter, delicious food, and, of course, some wine. For me, summer is also the easiest season to entertain. The food can be simple, and often, simple is best. 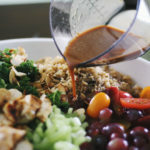 You could put out a towering fresh salad, some grilled peaches, a fresh crudité platter, some simple grilled proteins, and call it a day. And that’s not only easy, but also entirely impressive. Summer produce really shines for itself. I sought inspiration for this gluten-free zucchini lasagna from my organic garden. Currently, my massive basil plants desperately need to be harvested. 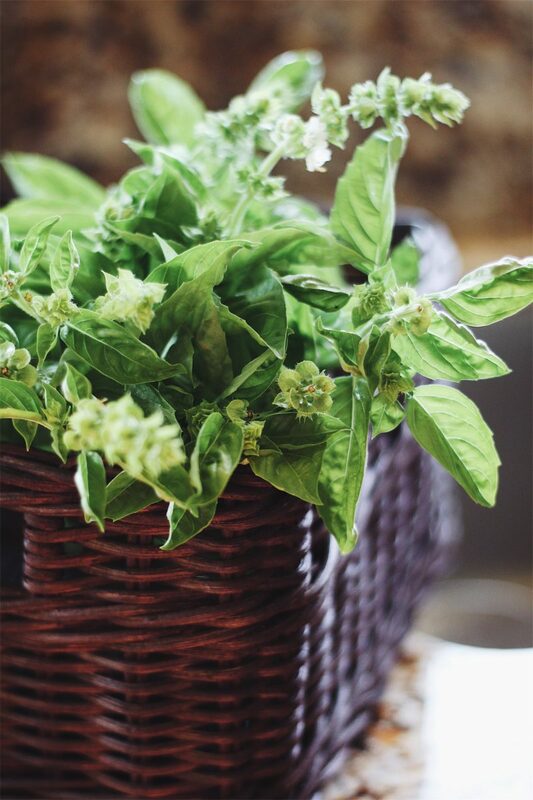 I’ve been turning my blue basil into infused syrup for cocktails and making pesto with my sweet basil like mad. I really wanted to serve a light vegetarian appetizer that was delicious and impactful but didn’t take up a massive amount of time. 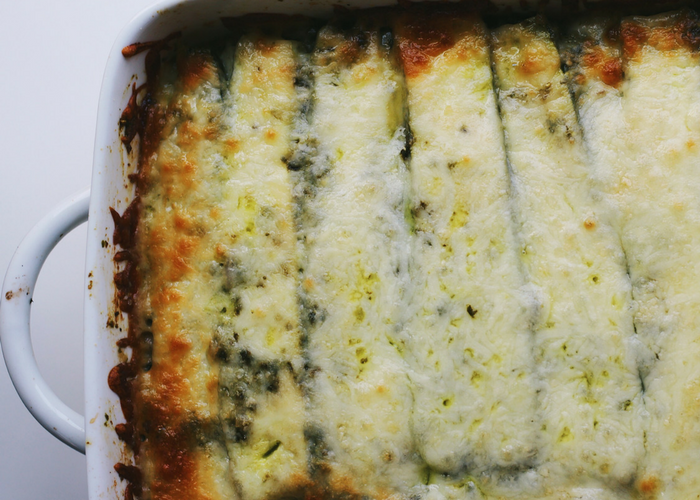 Cue this homemade pesto and goat cheese layered gluten-free zucchini lasagna. 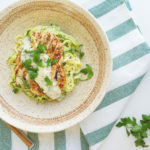 I love the idea of using fresh zucchini in place of noodles, and ‘zoodles’ can can also work well in a lasagna. I slice zucchini thin (but not too thin) and layer it with vibrant, nutty pesto, creamy goat cheese, herbs, kale, garlic, shallot, and mushrooms. 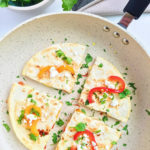 It gets cheesy and bubbly in the oven and makes for the perfect al fresco dinner paired with a simple garden salad. Of course, now we just need the wine, right? I’m honestly so excited to tell you guys about one of my favorite wines, and one that is almost always served at anything that I host. I’m going to nerd out right now, ready? I have been a huge fan of The Dreaming Tree wines for years. Whenever I bring it to a party, I always get asked where to find it and told how delicious it is. It really, really is. I have to be honest, I first bought it because Dave Matthews is the co-owner. I am a huge fan of his, and have seen him in concert around 75 times (my first one ever being 17 years ago). I could write a much longer post about that, but I’ll stick to talking about this amazing wine. 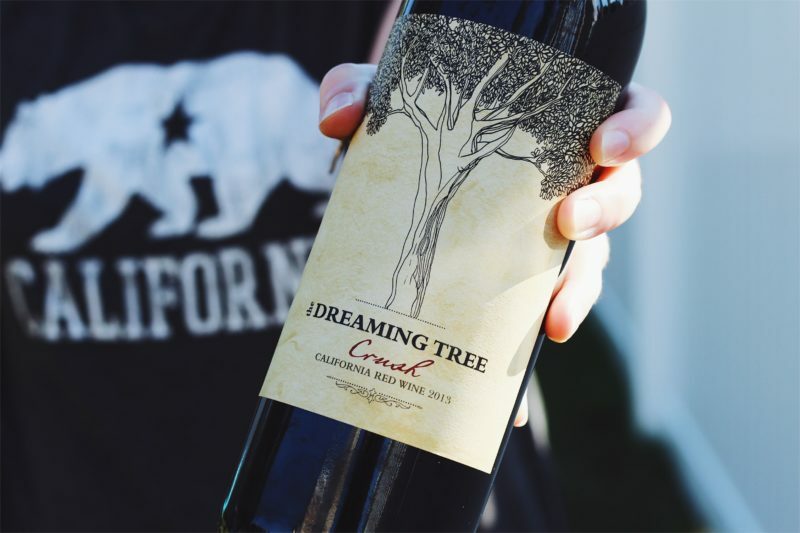 Along with winemaker Sean McKenzie, The Dreaming Tree makes incredible, unique Californian wines that are down-to-earth, affordable, and pair very easily with food (but are just as good drinking as is). The brand emphasizes passion, music, and connection, and I find them best enjoyed in social situations. 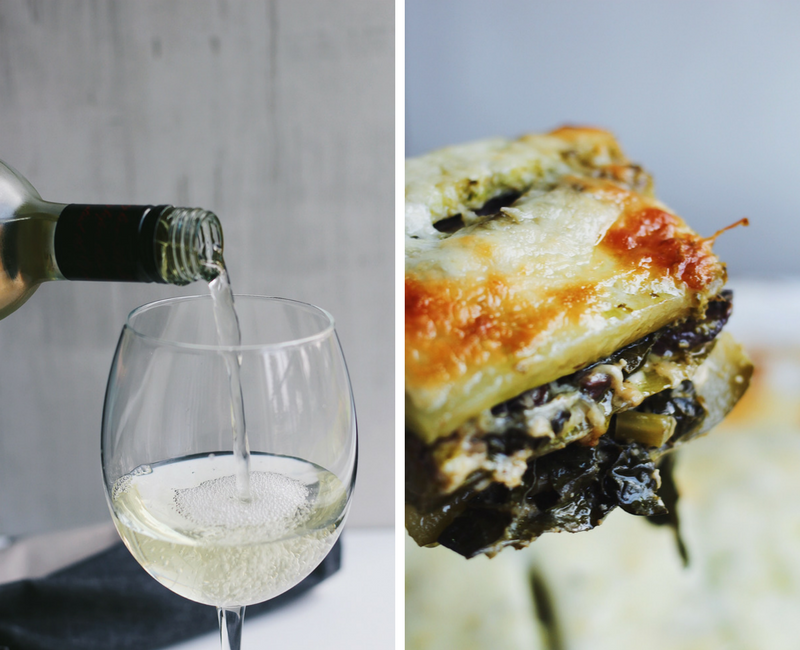 I like to start the evening by pairing their Sauvignon Blanc with my gluten-free zucchini lasagna and moving onto the Crush red blend (my favorite) for easy sipping around the fire pit. Unsurprisingly, the brand also focuses a great deal on environmental sustainability, as Mr. Matthews has always done himself throughout his entire life and career. 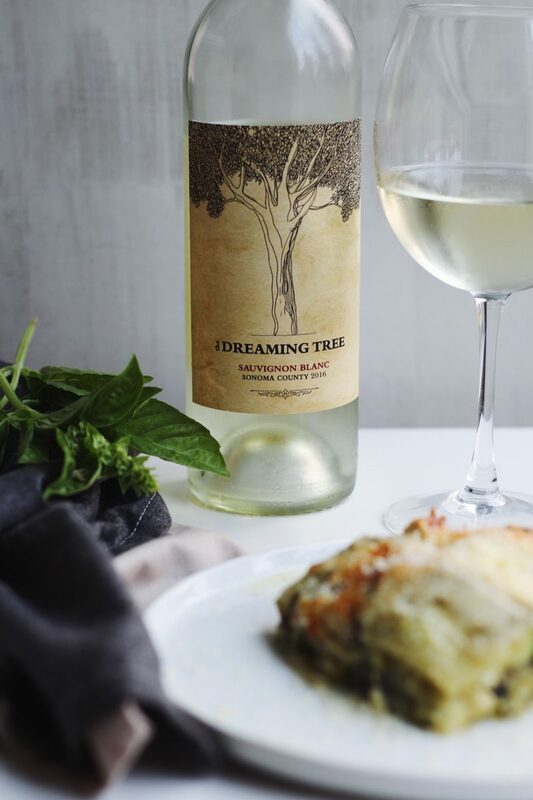 I truly think that The Dreaming Tree wines are comparable to wines I have had at more than 3 times their price point, but I also love what the brand stands for. They have donated over 1 million dollars to support environmental and forestry programs to date. And, of course, the wine itself is sustainable. Lightweight bottles (quarter-pound lighter than normal) manufactured with clean-burning natural gas, recycled corks and paper labels, and no-bleach black ink printing with reduced toxins and heavy metals. I love that. And I love these wines. 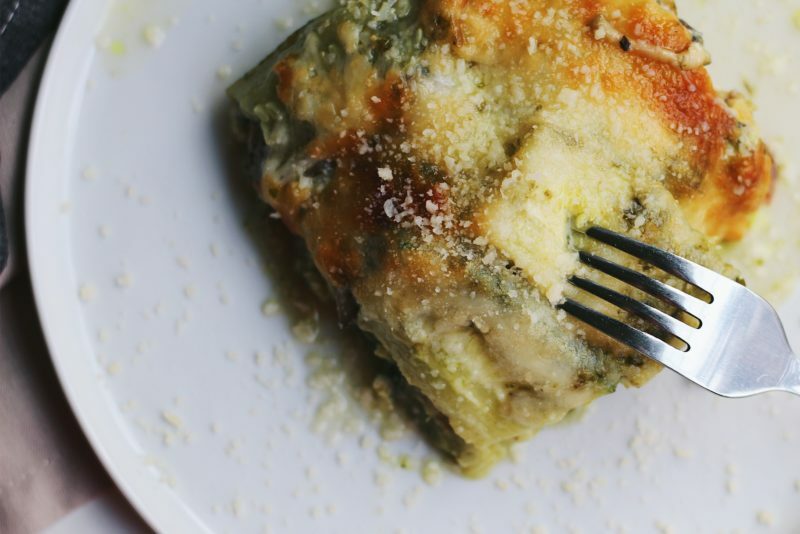 Especially paired with this gluten-free zucchini lasagna. I will always respect Dave Matthews’ commitment of community, compassion for mankind, talent, and sense of wonder. But, I would drink this wine if he made it or not, because it is good, ya’ll. You can find The Dreaming Tree wines locally by using this store locator to help you! I buy mine right at my local grocery store, but have also seen them at drug and mass stores. Have you ever tried their wines? What is your go-to appetizer to pair with wine? Let me know in the comments below. This gluten-free Zucchini Lasagna is a delicious, fresh vegetarian dish perfect for an appetizer or a light meal. 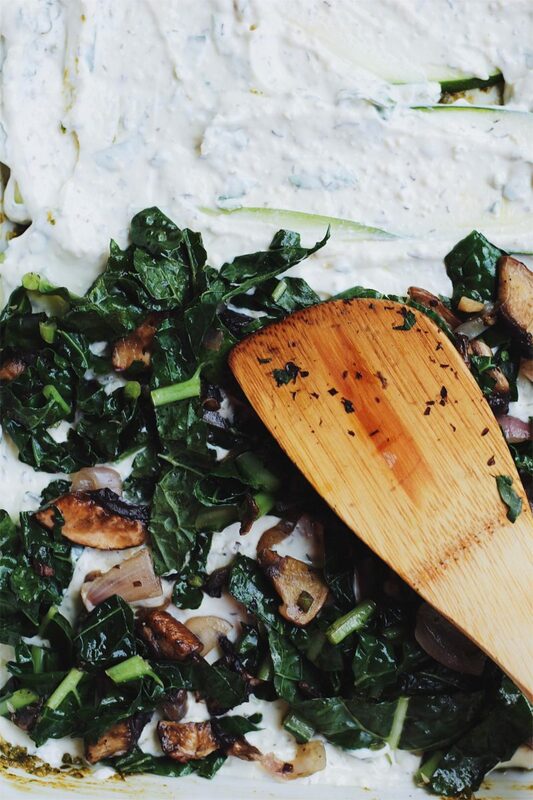 It’s layered with nutty homemade pesto, creamy goat cheese, earthy mushrooms, and kale. Preheat the oven to 375 degrees F. Slice the zucchini into long 1/4″ thick strips and spread out in a single layer on paper towels. Salt both sides and let sit for 30 minutes. This will draw out the moisture so that the zucchini does not become watery when cooked. After 30 minutes, blot the zucchini thoroughly with paper towels. You can also drain the zucchini in a colander. While the zucchini is draining, cook the kale mixture. Heat 1 tablespoon of olive oil and add the shallots and mushrooms. Cook until almost tender and starting to brown, and add the garlic and kale. Season to taste with sea salt and pepper and cook until the mixture is tender. 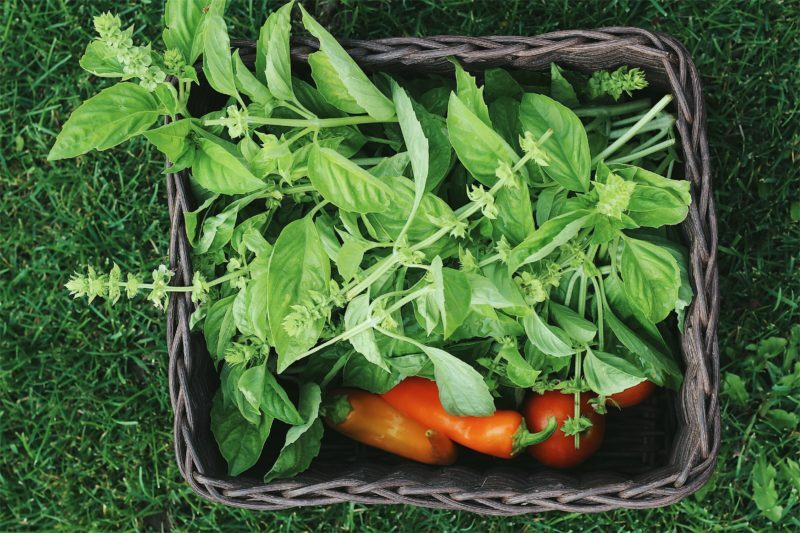 In the meantime, make the pesto. Place all ingredients except the olive oil in a food processor and pulse until finely incorporated. With the processor running, slowly add in the olive oil until emulsified. Season to taste with sea salt and pepper. In a bowl, mix the goat cheese with the egg, whole milk, chopped basil, oregano, thyme, and 1/3 cup of Parmesan. Season with sea salt and pepper and mix until creamy and combined. Layer the lasagna. 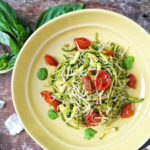 In a 9×13 casserole dish, spread some pesto on the bottom of the pan, followed by a layer of the drained, sliced zucchini. Spread the goat cheese on top and evenly sprinkle with the kale and mushroom mixture. Top with more pesto. Repeat this again: zucchini, cheese, kale, and pesto. 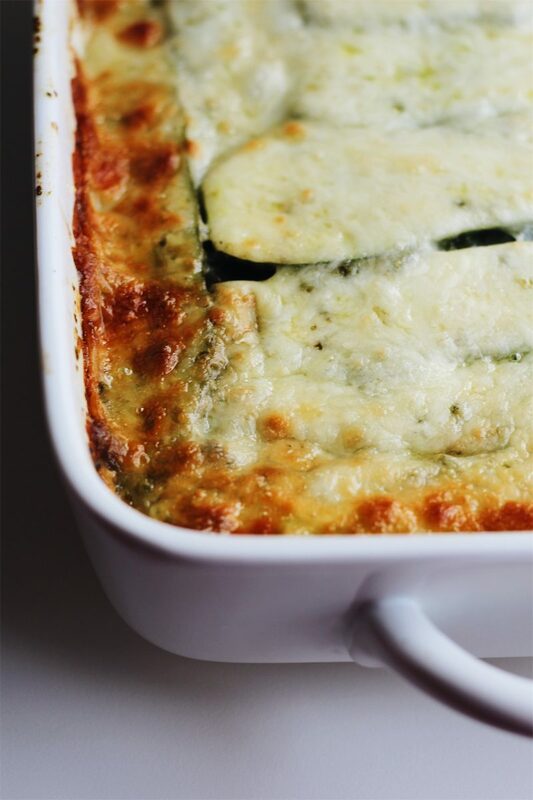 Top the lasagna with the last layer of zucchini and sprinkle with the mozzarella and 1/4 cup of grated Parmesan. Bake the lasagna until the cheese is melted, the edges are golden brown, and the zucchini is tender (check by inserting a sharp knife), about 35-40 minutes. Remove from the oven and let the lasagna cool 15 minutes before slicing into squares. Enjoy! Salting and draining the zucchini is a very crucial step, so please don’t skip it! If you do, your lasagna will be too watery. 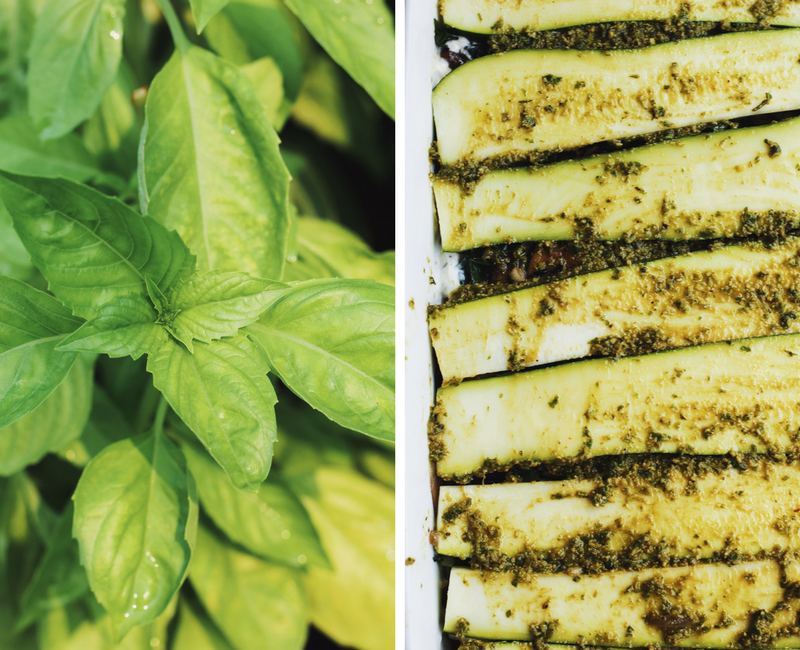 You could also very lightly grill the zucchini before adding it to the lasagna and cook it a little less in the oven. 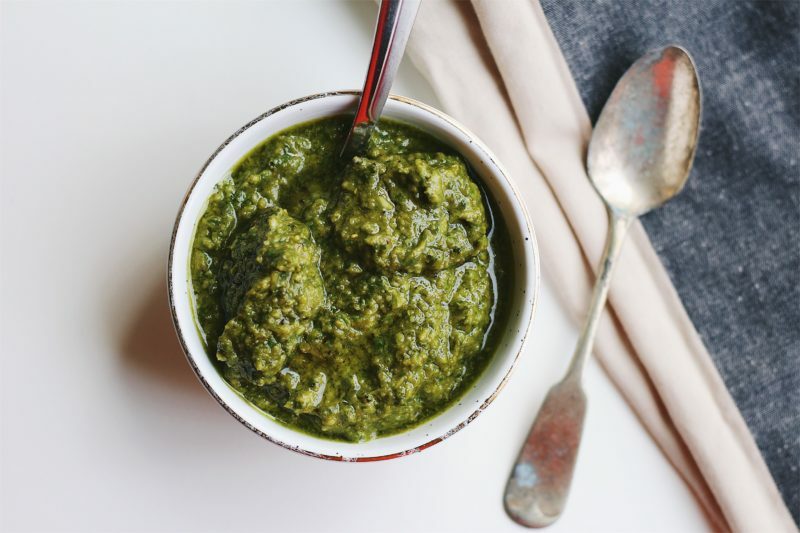 Use a high-quality store-bought pesto to save on time and prep. I want to make this tonight but it does not say what to do with the mixture of egg, milk, and seasoning? DO you layer that as well? Hi Emily, it gets mixed with the goat cheese. See Step 4: In a bowl, mix the goat cheese with the egg, whole milk, chopped basil, oregano, thyme, and 1/3 cup of Parmesan. Season with sea salt and pepper and mix until creamy and combined. Wow this is my kind of lasagna. but I’ve never before heard of blue basil! 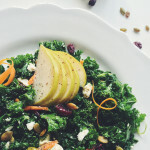 I love the addition of kale to this gluten-free meal! And you’ve reminded me to get outside and harvest my basil before it gets too cold! Wow this lasagna sounds amazing! 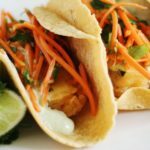 Peso and goat cheese… yum! !